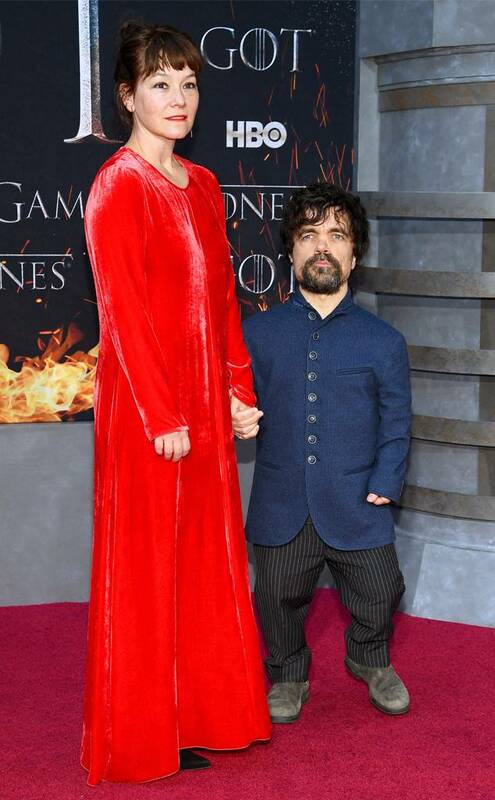 The much awaited final Game Of Thrones season is here and its premiere saw stars of the HBO worldwide smash hit TV show appear on the red carpet. Here are how celebrities slew according to E!News. 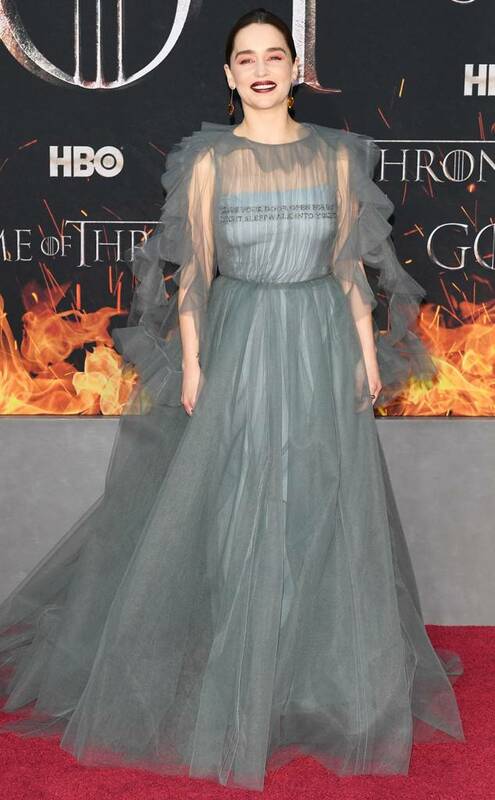 Emilia Clarke looked unrecognizable from her Daenerys Targaryen character, as the blonde haired dragon queen became a dark-haired ice maiden, dressed in blue and grey. Her red carpet transformation saw her appear a million miles from her stern-faced, battle-weary character, with her shoulder-length hair down and a flowing, patterned dress that was the standout ensemble of the night. Sophie and fiancee Joe(on the left) Sophie with a friend (right). Kit Harington, who plays Jon Snow and is one of the favorites for the Iron Throne, was joined at the premiere by his wife Rose Leslie, whom he met on the show. Peter Dinklage and Tyrion Lannister.